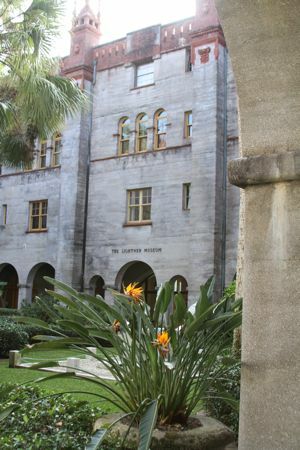 If you are in need of a quick vacation, a nice break awaits you in Saint Augustine, Fl. Just 5 hours of driving from home in Charleston Sc will land you in completely new territory, that is well , also a bit familiar. 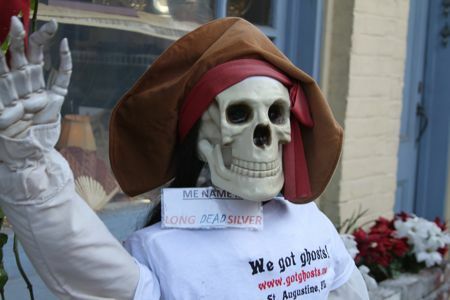 St. Augustine is known as the oldest city in America. Founded by a Spanish explorer in 1565, the relatively small city is now home to around 13,000 people. 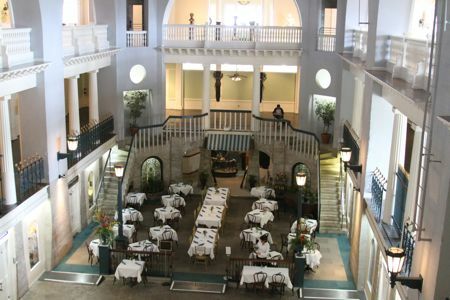 A nice place to stay in St. Augustine Fl is the Casa Monica hotel. Despite tons of weddings that weekend, we were able to get a last minute reservation and overlooking terrible water pressure, it was a very nice room. A bonus is the Ninety Five Cordova Restaurant right downstairs with good ambiance and yummy steak. It is a little tough to vacation when you are a Charlestonian, a trip is an excellent way to remind yourself how good you have it! The shopping area of Saint Augustine consists of a small strip called “old town” it is home to many shops catering to the Flagler college student population and the brisk tourist trade. There is live music, ice cream and lots of swash buckle. Just beyond the “old town gates” is the fort. Construction began on the fort, Castillo de San Marcos, in 1672 and lasted 23 years, until 1695. 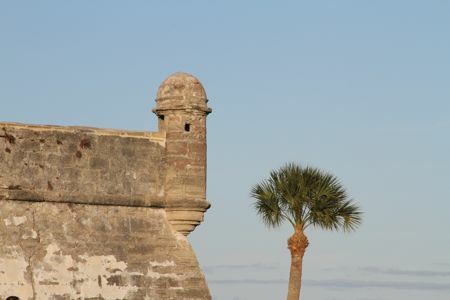 Many Spanish forts preceded the Castillo, however, this one made of coquina was impenetrable to enemy attack and was fire resistant. The British were never able to take the city of St. Augustine by force. In 1763 however, Florida became a British colony with signing of the Treaty of Paris, this began a 20-year period of English rule. The Lightner museum formerly the Hotel Alcazar, was built in 1887 in the Spanish Renaissance style by railroad magnate Henry M. Flagler. Chicago publisher, Otto C. Lightner, purchased the building to house his extensive collection of Victoriana in 1946 and opened the museum two years later. The incredible hotel would be fabulous by itself, considering that among other things it was home to the worlds largest indoor pool. 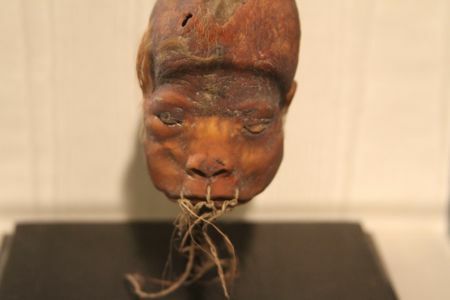 In addition to the amazing architecture, the collection is, while not incredibly significant, fascinating and diverse. After a nice wander through the truly fascinating museum, it was time for lunch. 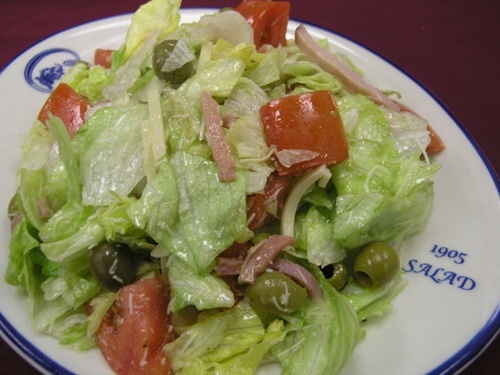 I am a huge fan of cuban food and The Columbia restaurant, opened in Tampa, Fl in 1905, is one of my favorites. There are several of the family owned restaurants in Florida, and when I discovered that there was one in Saint Augustine, I had to go. The 1905 Salad, great Sangria and house made epanadas were everything I had hoped for. 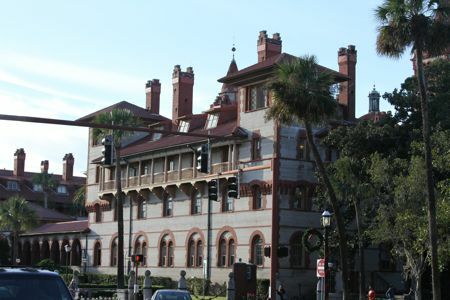 A quick trip to Saint Augustine Florida is a perfect getaway for Charlestonians. The town offers a nice change of scenery, with some very interesting attractions. Saint Augustine is close to Charleston and easy to explore in a short time if all you have is a weekend.